Boeing Business Jets (BBJ) has delivered the first BBJ MAX airplane to a customer. The BBJ MAX family, based on Boeing's 737 MAX airplane, is capable of flying 7,000 nautical miles (12,964 km). 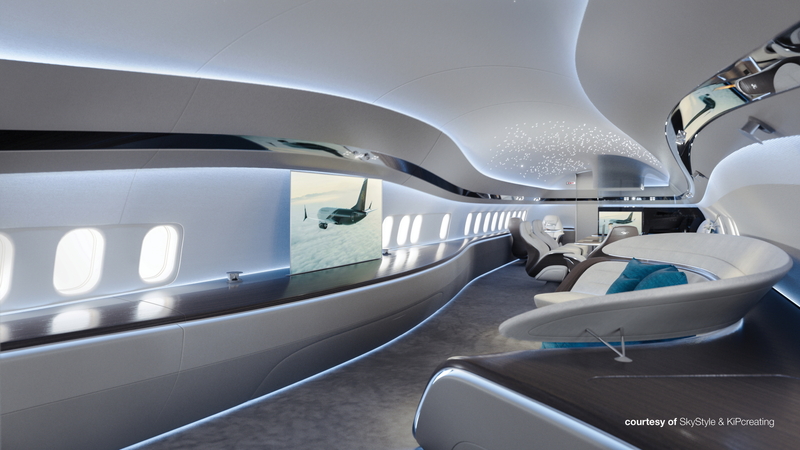 To commemorate the first delivery, Boeing Business Jets has unveiled a new interior concept by aviation design firm, SkyStyle. The concept, named Genesis by SkyStyle Co-Founders Max Pardo and Lucas Colombo, represents the company's debut in BBJ MAX design. Customers from around the world have thus far placed orders for 20 BBJ MAX airplanes. See latest HD Video Interviews, Podcasts and other news regarding: BBJ, Boeing, Jets, MAX.